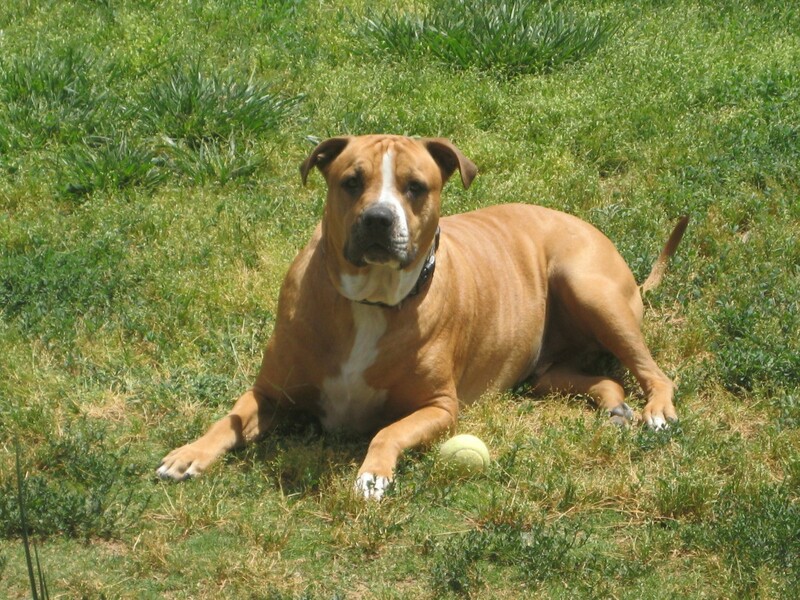 Johanne is a 4 year old American Staffordshire Terrier. A friend of ours was moving to Hawaii and his dog had just had a litter of pups. When our friend came over, he had two pups for us to choose from and we could not decide, so we took in both. Johanne likes to chase flies, chew on tennis balls and roll on his back with his legs sticking up in the air. Sometimes he likes to lay in the sun and stretch. Then there is always going for a walk! Johanne used to weigh 115 pounds. Since we put him on the diet that the vet advised us to do, he has lost 20 pounds. Beautiful Dog. Thanks for sharing him. He looks so beautiful! Thank you so much for being such a good pet parent!